Al-Tajheez School was established in 1933 to replace Maktab 'Anbar as the main high-school in Damascus. 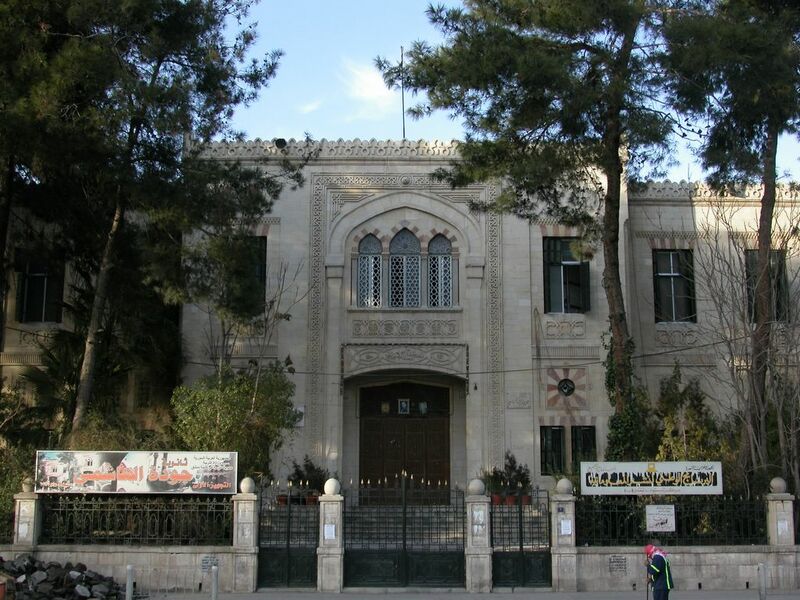 It was later renamed after Jawdat Al-Hashimi (1887-1955), its founder and first director. The building was designed by the famous Lebanese architect Youssef Aftimos (1866-1952), who also architected the Beirut Municipality building and the clock tower at Beirut's Grand Serail. Hey I know where that is! That is just a beautifully designed building. Thank you for the nice photo. is that the one near Shaalan? And near Funduq ash sham? Yes it's main entrance is on Argentina Street, just opposite to the under-construction Four Seasons Hotel and one block away from Cham Hotel. Ayman, maybe next time you could post a photo of "Laique" school (which became, "maahad al-houriet", and then became "maahad bassel al-assad"). Although renovated recenty, It still has unique architecture dating to the french mandate era. Thanks Ayman for this photo. this school was my high school in the 80's. Ayman, thanks for the memories. I graduated from Jawdat Alhashime high school in 1985. Now I live in Los Angeles, I dream of a day when I can visit my old school a gain. Keep on blogging.